Design/methodology/approach: This paper uses updated secondary data obtained from different sources. It uses both descriptive and comparative approaches and uses the OECD (1996) definition of a knowledge-based economy and the World Bank Knowledge Index (KI) and Knowledge Economy Index (KEI) and other indicators often used in the international literature to examine progress towards the transition to knowledge-based economies in the Arab region. 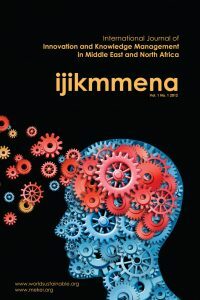 Originality/value: This paper is valuable because it fills the gap in the Arab literature by presenting a more comprehensive analysis and investigating recent progress in the transition to knowledge-based economies in the Arab region since these issues are not adequately discussed in the Arab literature. Moreover, the paper supports the efforts aimed at enhancing knowledge-based economies in the Arab region. The findings imply that it is essential for the Arab region to implement sound and coherent policies to accelerate and enhance the transition to a knowledge-based economy and to achieve sustainable economic development.